Οδηγός χιονοδρομικού για Madonna di Campiglio, χάρτης περιοχής και διαμονή για Madonna di Campiglio. Madonna di Campiglio, in the Trentino-Alto Adige region of Italy, is a large resort with 19 lifts (5 gondolas, 12 chair lifts, 2 surface lifts) that offers skiers an incredible 1000 metres (3281 feet) of vertical descent. 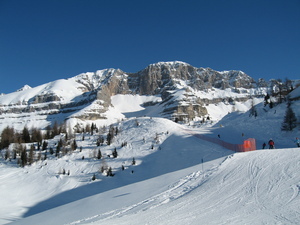 Madonna di Campiglio has 35 pistes with a total length of 60 kilometers (38 miles). 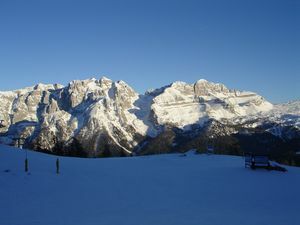 Madonna di Campiglio is best suited to beginner skiers and snowboarders but there is some terrain for both expert and intermediates. 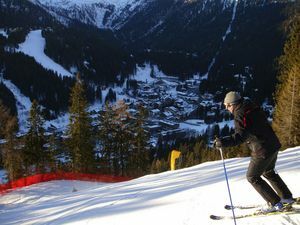 There are 15 kilometers (9 miles) of cross country ski trails at Madonna di Campiglio. For snowboarders, there is a terrain park and a half-pipe. 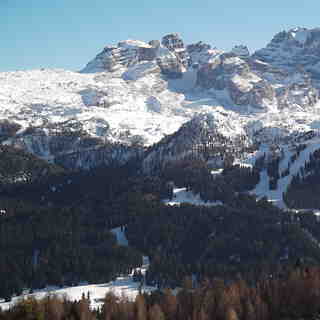 The majority of the pistes at Madonna di Campiglio are covered by snowmaking. The closest airport is at Verona but the transfer time is 2.5 hours. 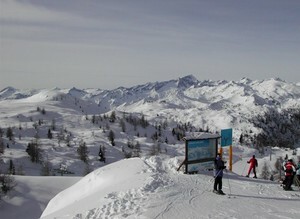 The nearest train station to Madonna di Campiglio is at Trento. There is accommodation located close to the pistes but we would welcome additional information about any hotels or chalets in Madonna di Campiglio. This is simply the best quality resort in Italy! Fab restaurants; La Zeledria on Pradalago side a must but book a seat upstairs for world class views to die for. Also Chalet Fiat is outstanding; almost Michelin star service and food in the a la carte part to the left of the self service run by Dante. Runs are great and serve intermediate best but challenge us experts skiers as well. 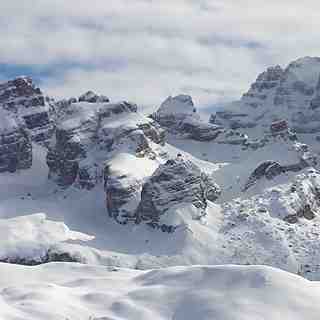 Snowboarders rejoice for the best Snow Park in Italy on Groste side.